Information and advice on the British Seagull moel 45 or Featherweight. 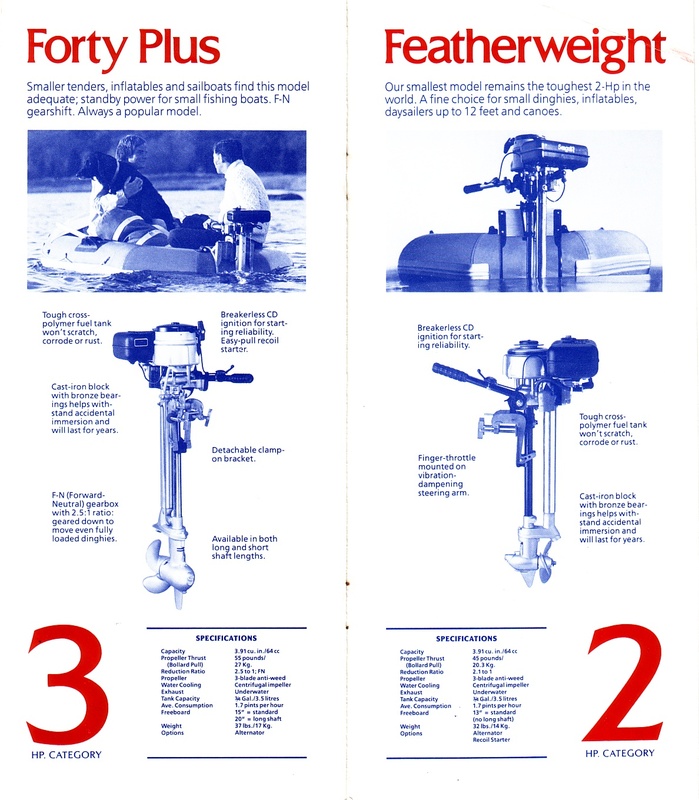 The page above shows both the model 45, on the right, and the 55 on the left. These are the models as of about mid 1980's. Note the pics on the page show the steel fuel tanks, where as the lower diagrams depict the correct plastic tank of the later gulls. Pic courtesy of Greg Taylor of Queensland.